Sarah Vocca currently serves as the director of the Capitol Region Education Council (CREC)’s Division of Data Analysis, Research, and Technology, better known as DART. As DART’s first Director, Sarah has provided leadership and direction for the full development of the division, bringing together various facets of CREC to promote efficiency and efficacy in the organization’s analytical and technology-related processes. 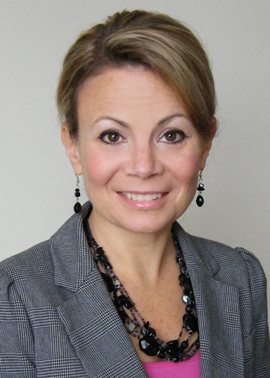 Sarah joined CREC in 2011 after spending 15 years with the Connecticut State Department of Education (CSDE). She began her career with the CSDE as an intern during her graduate studies, and over the ensuing 10 years, Sarah rose quickly within the ranks of the Bureau of Research, Evaluation, and Student Assessment, eventually becoming the CSDE’s lead Education Consultant for implementing the NCLB accountability system. In 2007, Sarah was chosen to become the Bureau Chief for the Bureau of Data Collection, Research, and Evaluation. In this post, she was responsible for managing the department’s $2.5 million longitudinal data system budget and 18 full-time staff, and oversaw the department’s numerous data collection and reporting duties. She also oversaw the development and design of the department’s data website, Connecticut Education Data and Research (CEDaR). Previous to her work with the state, Sarah worked for a short time as a high school teacher in West Hartford and Manchester. Over the course of her career, Sarah has delivered numerous addresses and presentations, and has had presented her work at multiple regional conferences. She received her B.A. from the University of Connecticut, and her M.A. and educator certificate from St. Joseph College. Sarah received her doctorate in 2011 from the University of Connecticut, writing her dissertation about student mobility and its relationship to academic achievement in Connecticut.